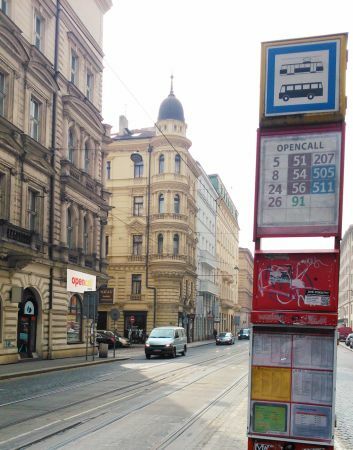 Public transportation in Prague is very easy and efficient to use and if you have questions you can find information on the dpp.cz website. 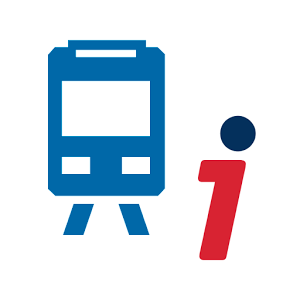 All metros, buses, and trams are accessible using the same tickets. 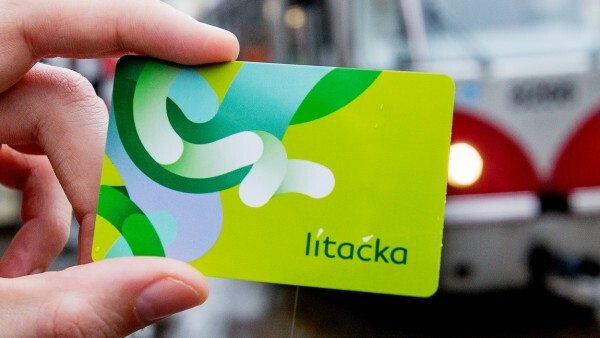 For long term tickets you must apply for a Lítačka card. For Android and iOS devices. This will help you find connections and times. The IDOS app and MHDapp are also recommendable. 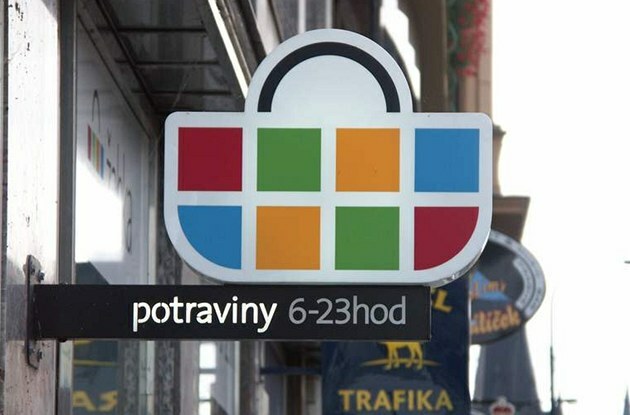 If you already have an OpenCard and would like to update it to a Lítačka, go here. Otherwise read on. Longer term passes (you must have a Lítačka card). If you would like to purchase long term tickets for your Litecka card, you can do so at these info centers with your ISIC / ARCHIP piece of paper with confirmation of study for DPP. 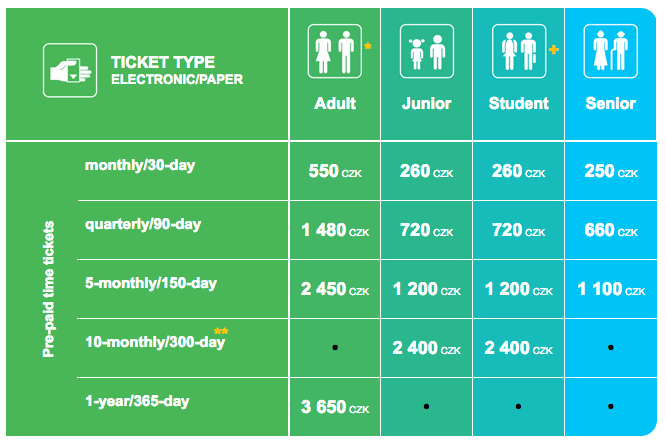 There are a number of ways you can purchase individual tickets. Just do not forget to validate them in the little yellow stamp machines. Purchase tickets over SMS by sending the text message "DPT24" or "DPT32" to the number 902 06. 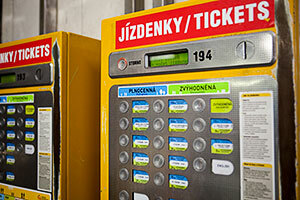 On some trams they have begun installing ticket machines for contact less cards, which look like this. You can also purchase tickets from Zabka stores, or usually any potraviny or tobacco shop. 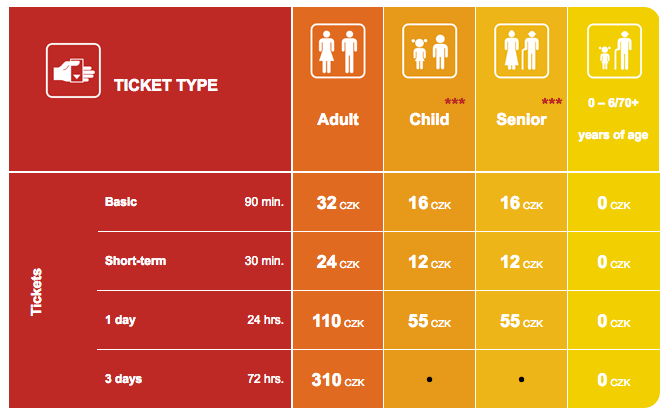 You can find out when trams or buses are arriving using the time tables at each stop. The the dpp.cz website, the DPP Info app and good old google maps, are also great to find times and connections. Do not take taxis on the street, they are known to be unreliable and uncountable. Always call a taxi service in Prague and they will send a driver immediately, this way you know the taxi is official, and in case of lost items or other issues, you can hold the taxi company accountable. If you do not have an Uber account, then before signing up, ask someone who is already using it, to give you an invite code. 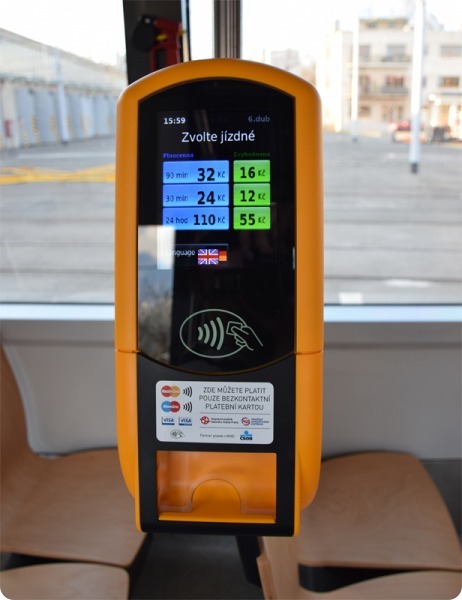 This will give you 59czk off from your first three rides and once you take your first ride, the person who gave you the code will also recieve 50czk off on next three rides (expires after 90 days). Rekola is great! You can rent a pink bike anytime you want. Ride for as long as you need, then lock it within the zone for the next rider. Plus you can just pay when you use it, like getting a tram ticket, only for a bike. Or if you ride all the time sign up for a month or more! Everything is handled through their simple easy to use app, and with online payments it just super easy. You can reserve any bike for 8 CZK. Reservation lasts 15 minutes. České Dráhy is the national train company in the Czech Republic. On their website you can find connections, fairs and times, as well as purchase tickets. Student Agency offers cheep buss and train tickets as well as flights around Europe. 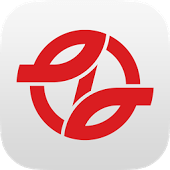 EuroLines is one of the cheaper buss companies available. It operates buses all over the EU with stops at over 50 cities. On their website you can find connections, fairs and times, as well as purchase tickets. 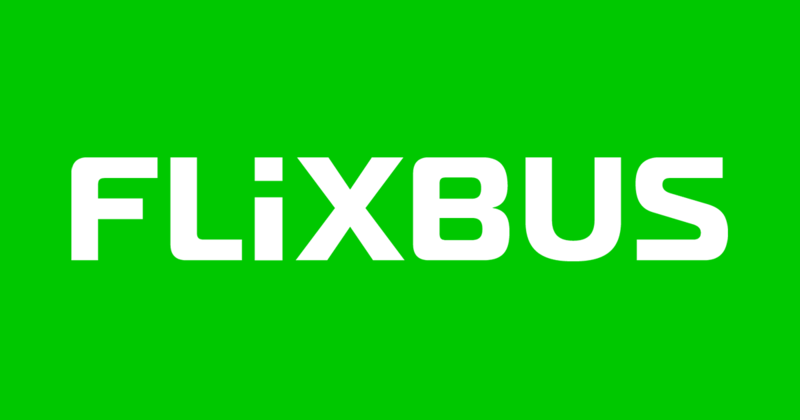 FlixBus says it themselves: " Discover Europe with our cheap bus tickets" With buses to almost all major cities in the EU they are one of the cheapest options.